It seems like there are more crime dramas, more violent movies, and especially more true crime TV shows than ever before. And then there is the daily local, national, and international reports of crime. While clearly crime pays the TV networks, what effects does it have on viewers? Researchers from the University of Nebraska-Lincoln conducted a survey of 784 non-institutionalized adults over the age of 19 residing in Nebraska. The sample was 94.8 percent white, 41 percent male, with a mean age of 54.8, less than a 4-year college education, and a median household income of $50,000 - $59,000 per year. 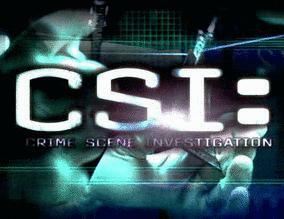 The goal of the survey was to determine the impact of various kinds of TV crime on the opinions of the viewers. The questions were geared to the type of crime programming watches - fictional dramas, documentary style real crime programs, and local and national news - and the frequency per week they were watched. Woven into the survey were questions regarding the individual's view of the criminal justice system, whether punishment fit the crimes, and whether crime rates were rising or declining locally and nationally. * The more frequently people watched non-fiction crime documentaries like "The First 48," the more fearful they were of becoming a crime victim. They also were less supportive of and less confident in the criminal justice system and said they believed the national crime rate was climbing. * Frequent viewers of fictional crime dramas were not affected by the programming to believe they would become crime victims, and their support of and confidence in the criminal justice system also was unaffected by their viewing habits. Interestingly, though, the more frequently they watched crime dramas, the more certain they were in their support of the death penalty. * The more often people watched crime coverage on the local news, the more they believed that the local crime rate was increasing. Lisa Kort-Butler, UNL assistant professor of sociology and the study's lead author, said that "The results support the idea that program type really does matter when it comes to understanding people's fear of crime and their attitudes about criminal justice. The audience appears to negatively evaluate the criminal justice system while also supporting its most punitive policy -- which this study suggests is due to the types of shows people watch." "This narrative structure is nothing new to storytelling about crime, but it may lead to a heightened fear among viewers because it seems like such a crime could happen to them or their loved ones," Kort-Butler said. "Because the criminal is often portrayed as one step ahead of the law, viewers may be less confident in the authorities' ability to stop the crime before it's too late." Ashton Kutcher, King Of All Social Media!